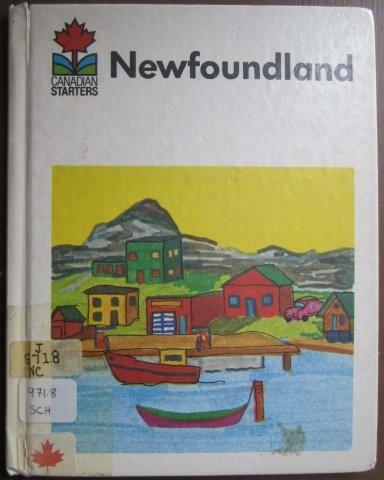 Canadian Starters: Newfoundland is part of a Canadian Starters series of books published by GLC Publishers Limited in Ontario in 1981. I couldn't find anything about the book online but I wanted to share it because we enjoyed it. 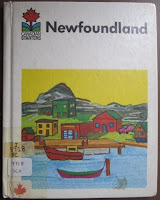 The books is copyright to Pamela M. Langston 1981 and the illustrations are by Sigrid Schmitt. The ISBN is 0-88874-301-7. The back of the book says "Starters books are written and designed with young readers in mind. They are vocabulary controlled and the contents have been carefully checked by a critic reader and teacher panel. Each book contains questions for teacher-directed learning, bright and simple illustrations, interesting and informative text, picture glossary and a table of facts." Some of the information in the book is, of course, outdated but it is a great book for social studies learning. Anna thought it was wonderful. I'd love to see an updated version of it.